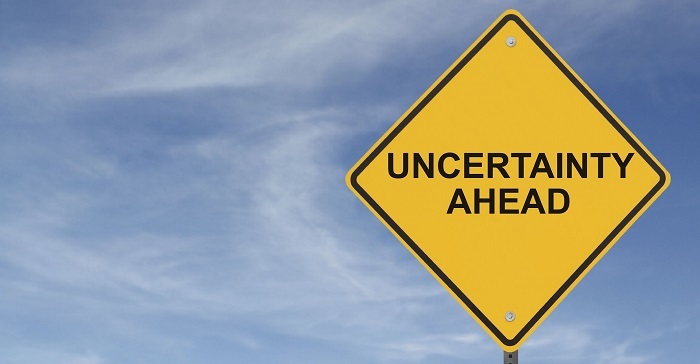 Human beings don’t react well to uncertainty. We don’t know how to handle it. We hate it so much in fact that, given the choice, we actually prefer to *know* that something bad is going to happen to us as opposed to being unsure. A study in 2015 showed that most people would rather know for certain that they’re going to get an electric shock than to not be able to predict it. The uncertainty caused a bigger stress response than knowing without a doubt that they were going to get hurt. Well if I had to think of one word to describe how I’ve felt about the Bears the last few years, the word would be “uncertain”. Not in terms of devotion, mind you. I’ve always been pretty ride or die with my sports teams. When I say uncertain I’m talking about having no real idea what to expect from them on any given Sunday since 2012. The Cleveland Browns are a national punchline. People who don’t even follow football know how bad they are. Prospective draft prospects have openly stated they don’t want to go there. Hell, their own social media manager pokes fun at their perpetual awfulness. Their fans just held a sarcastic parade! I’ve got a buddy who grew up just outside Cleveland. He was raised an avid Browns fan. Lived and died with the team when he was little. Now he barely remembers to check his phone to see how much they lost by each Sunday. He feels absolutely no stress or discontent about the Browns because he knows with 100% certainty they’re going to be garbage. It’s not that he isn’t still fond of them. He’s just sort of peacefully detached. I’ve felt a lot of different things as a Bears fan these past few years. I’ve been frustrated, angry, bewildered, bored, and deflated. But I’ve also felt excited, hopeful, and on a few occasions, legitimately fired up. Never once have I felt detached, but I’ve definitely felt uncertain. Not an exhaustive list, but you get the point. Through all that the Bears still matter to me, even though actively following and rooting for them has definitely caused me to experience way more stress than my Browns-loving buddy. Yes, they’ve been largely disappointing, but they’ve managed to show just enough promise to still break my heart. And since you’re all still here, reading, writing, and commenting on them they’re probably still able to break yours, too. So I’m still invested, and despite the added stress I’d never want to trade places and be a peacefully detached Browns fan. That said, 2018 is a hugely important year not only for the Bears as a franchise, but also for the psyche of a good chunk of fans who are gutting through the premature aging and probable liver damage caused as a result of rooting for this team. We need more certainty from the Bears. Certainty that they’re on the right track. Certainty that they have the right pieces both on the field and behind the clipboards. Certainty that they’ll make clear and visible improvements from the last season, and start establishing a true team identity. They need to beat the teams that on paper they absolutely should beat, and take advantage of opportunities when they present themselves, instead of choking them away as they so often have in the past. Right now the Bears are certain about their two most important positions: quarterback and head coach. They know what direction they want to go in. They have a vision, and I’m excited about that vision. I truly believe the Bears are going to be much improved in 2018. But until I see that vision being executed, I’m probably still going to feel a little uncertain, bracing, as I’ve been conditioned for the next shock to come.